I’m so glad that I bought the paper copy of this book, knowing that I have a copy of this permanently gracing my bookshelf brings me great joy! 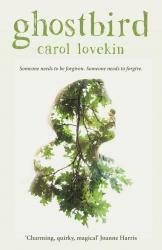 Carol Lovekin’s style of writing is exquisite, she brings to life the fairy tale quality of rural Wales and weaves it in the lives of her characters with her own brand of magic. I don’t want to discuss the story in any detail because I don’t want to cheat you out of discovering it for yourself but what I can tell you is that the characters in this book are exceptional. The author’s understanding of complicated family relationships is impressive as she presents us with a frustrated teenager who isn’t being portrayed as a brat, a mother being buried under the weight of her own depression and a woman who never intended to be a parent but is not playing a pivotal role in raising her niece. It’s the depth of each of these characters that drew me in and why I got snippy with anyone who tried to distract me from my reading. Throughout the course of the novel, we see parts of the story through the eyes of each of these women and the beauty of it is that there’s no judgement on how they’ve behaved and decided to deal with their past – we only see the consequences as they all try to muddle through together. This book is most definitely about love, but very little of it is romantic love. It’s about the different kinds of love that women can have for each other and simply beautiful to read. The atmosphere in this book is magical, for me it’s very nostalgic as it’s set in a place very similar to where I grew up but I think it’ll have a similar appeal for all readers – who doesn’t love deepest darkest Wales? If you can, set yourself some time aside to savour this book and arrange a book date for yourself to fully appreciate it.